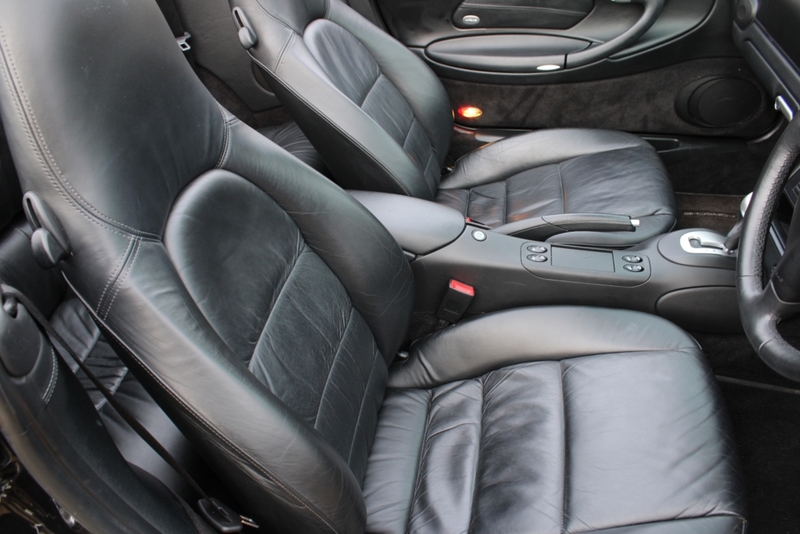 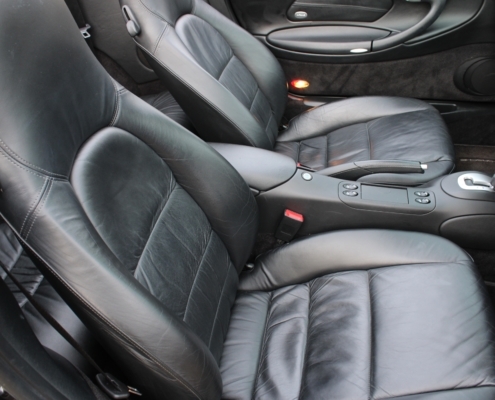 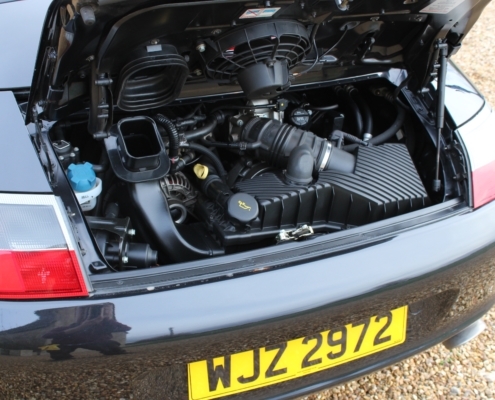 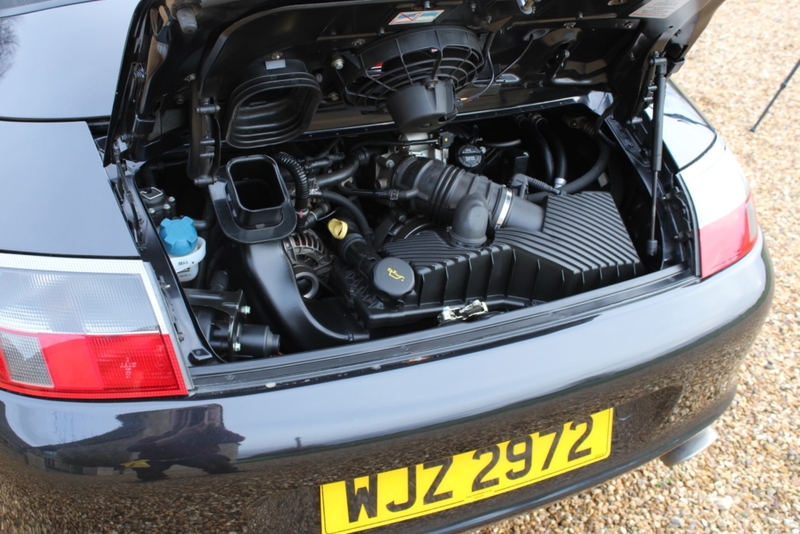 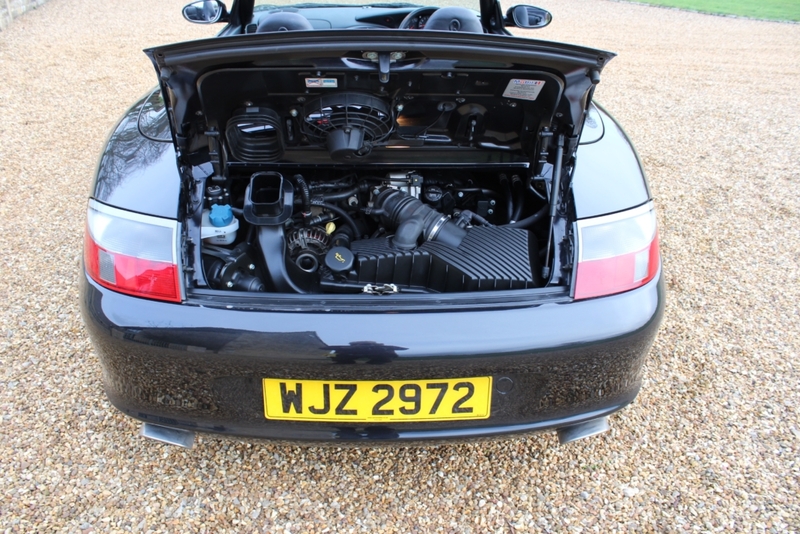 At the 996 launch, many traditionalists were displeased and missed the revered air cooled cars. 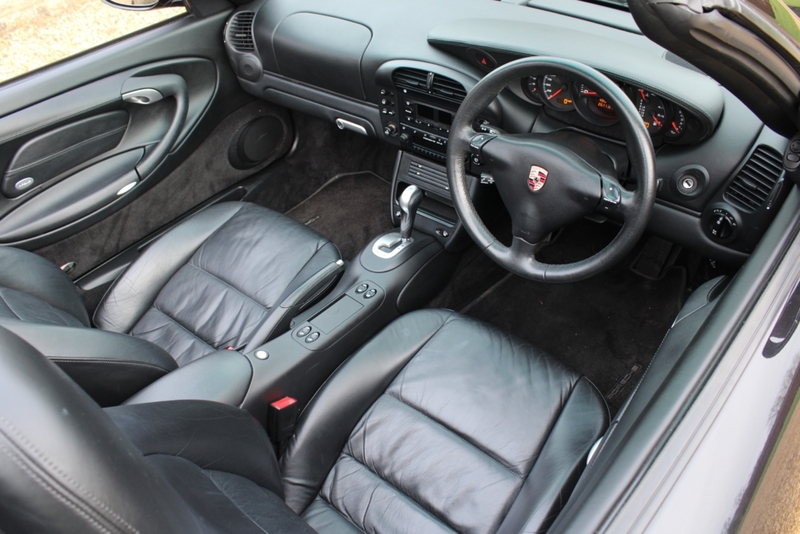 This is a generation 2 improved version and still looks stunning with the best combination of Basalt black and black full leather. 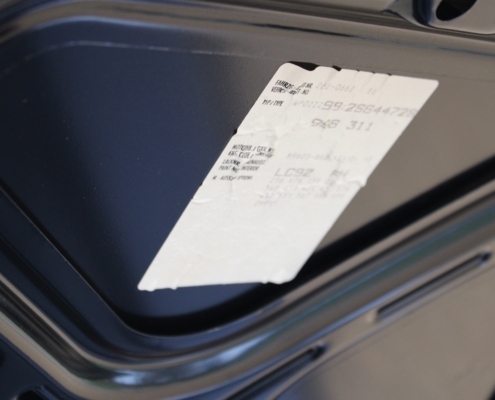 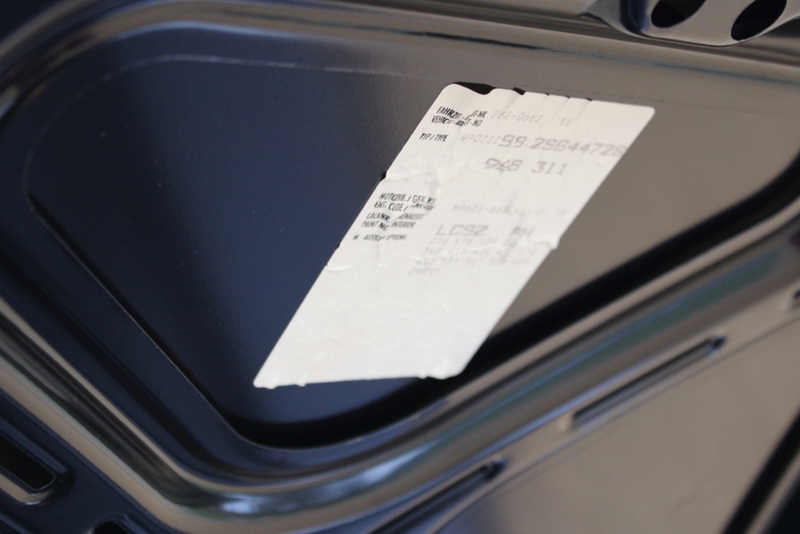 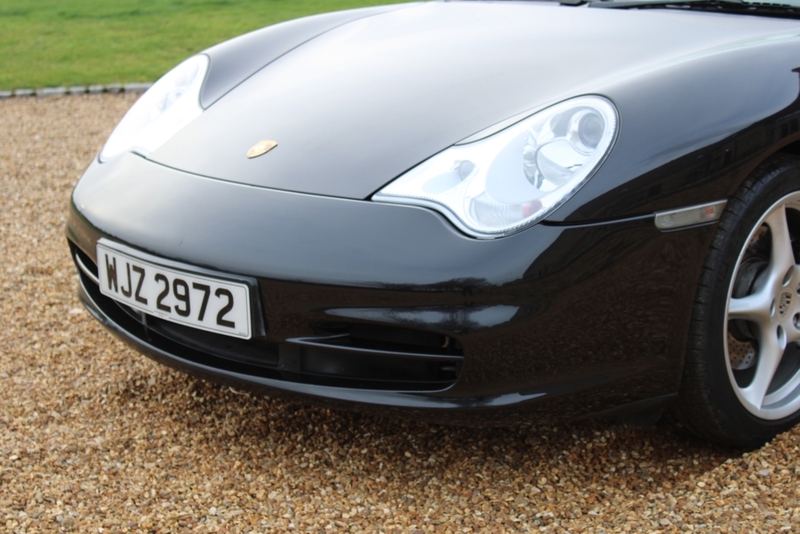 Having had only four owners there is a perfect service history with most services carried out at Porsche main dealers. 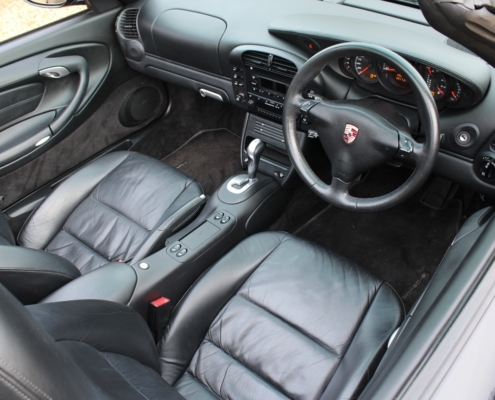 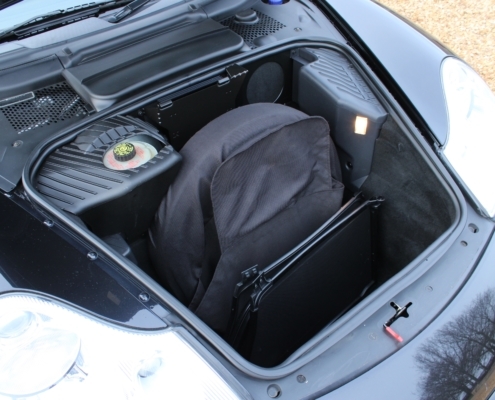 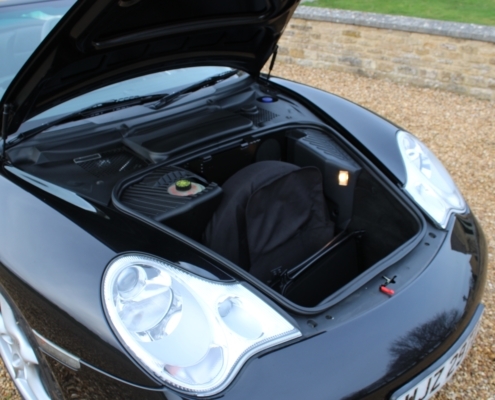 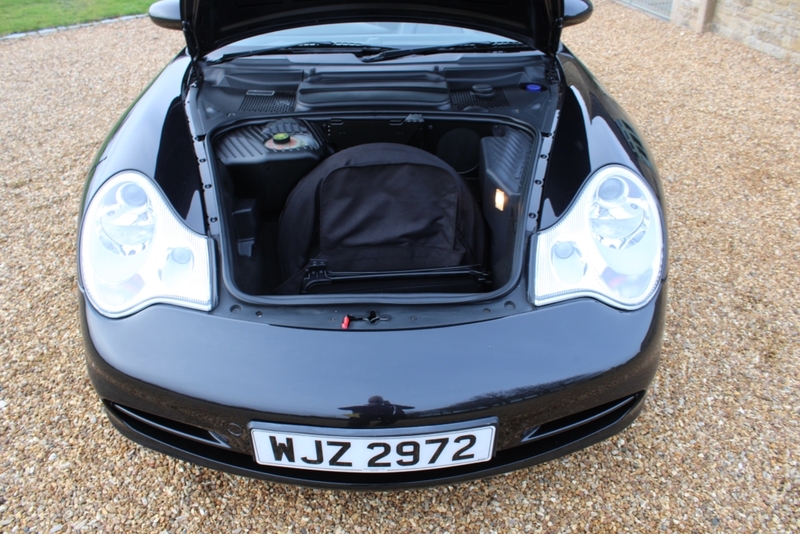 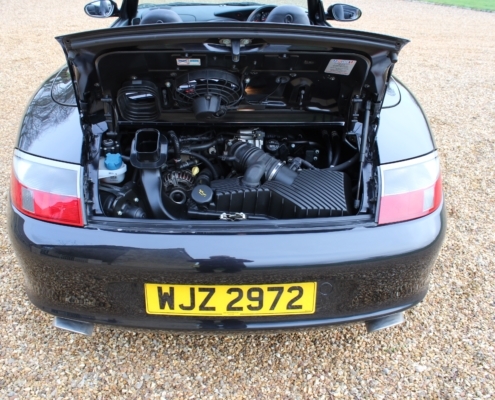 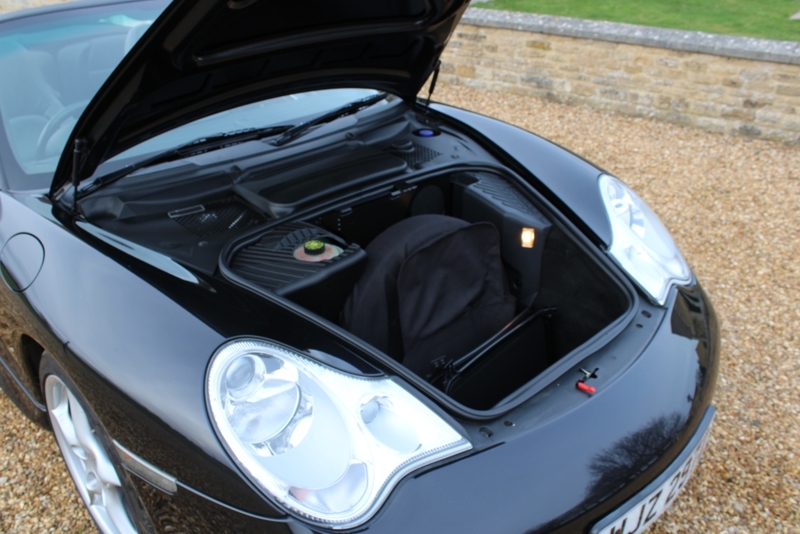 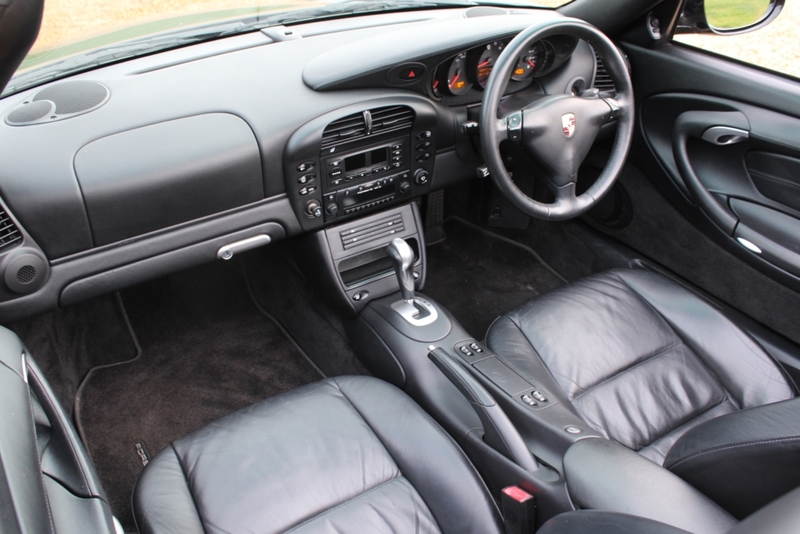 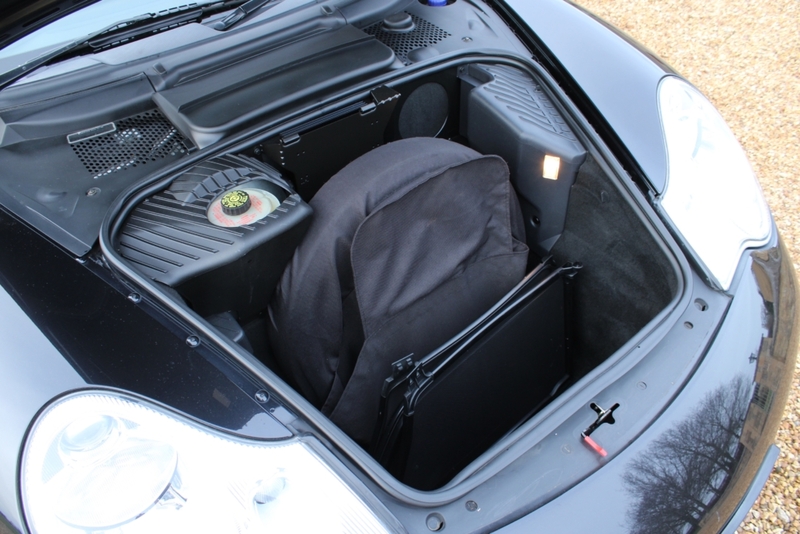 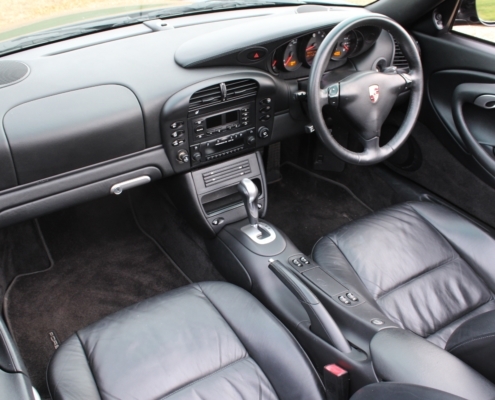 The 996 are so practical and can be used every day with plenty of storage space and ground clearance for parking etc. 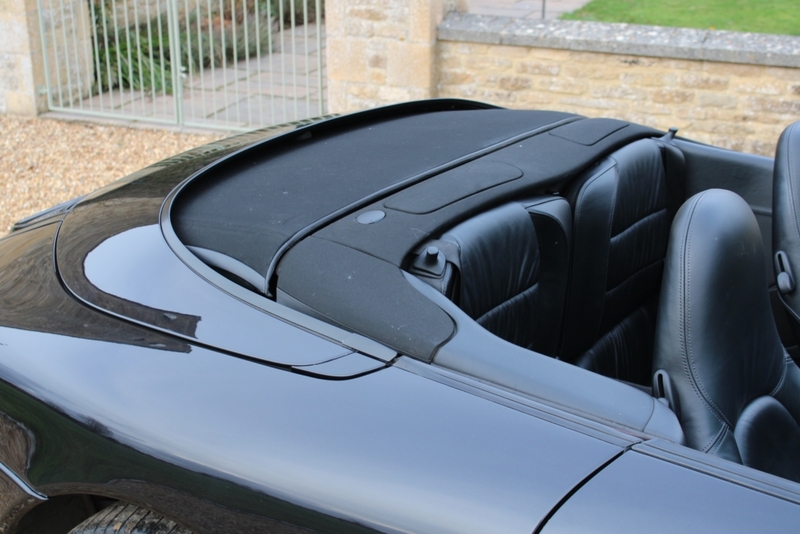 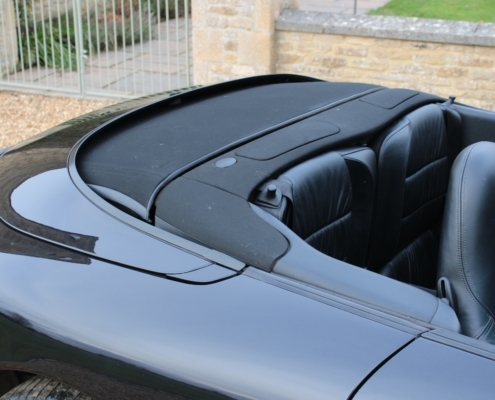 A hard top is also included. 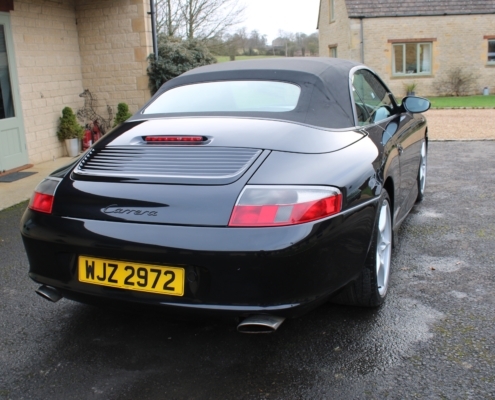 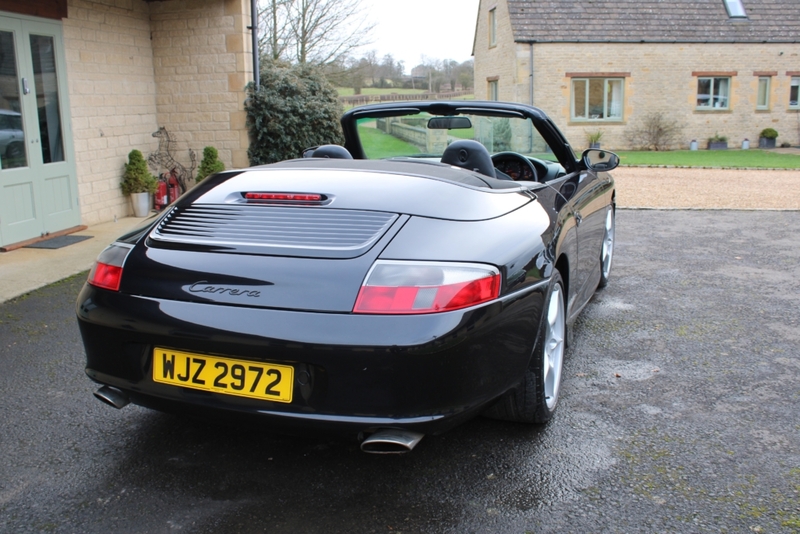 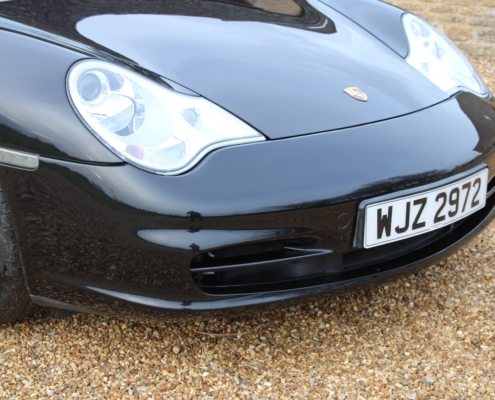 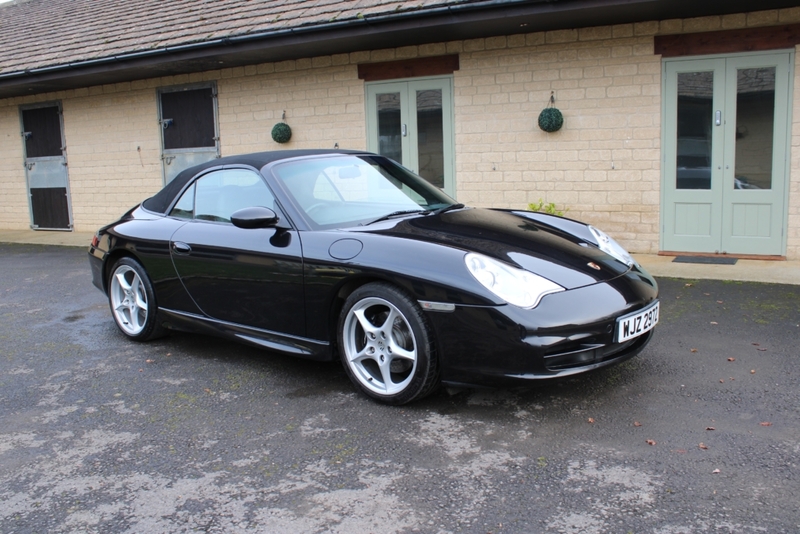 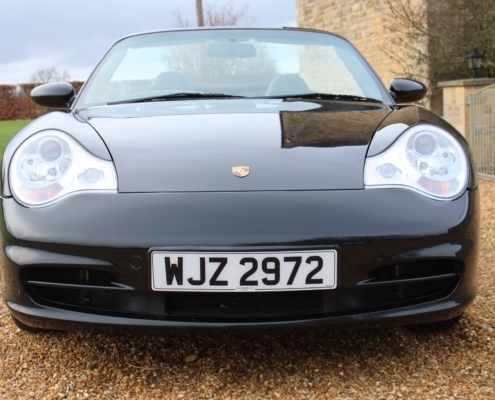 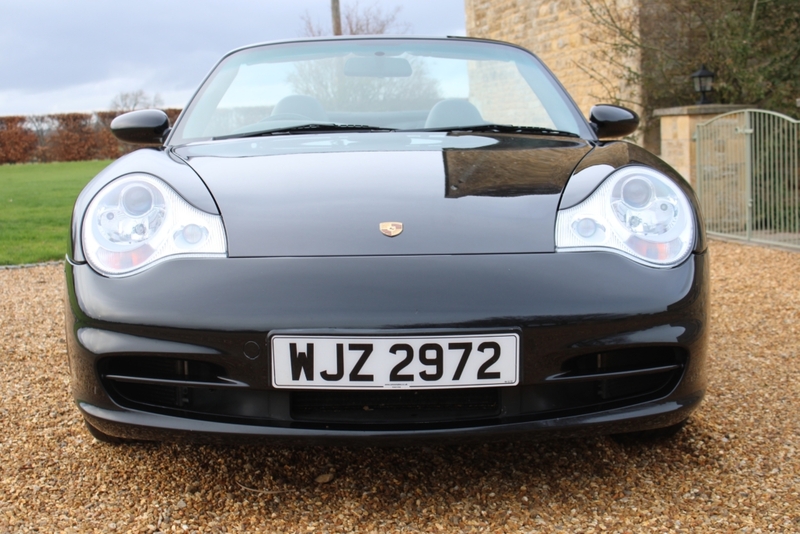 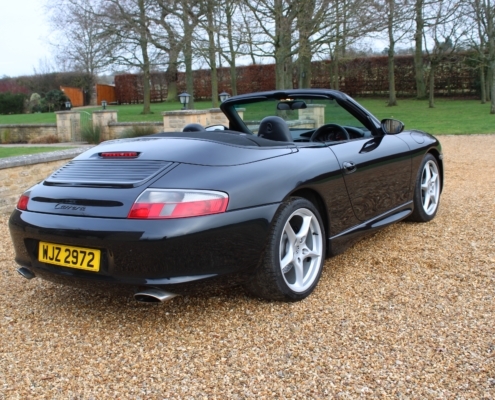 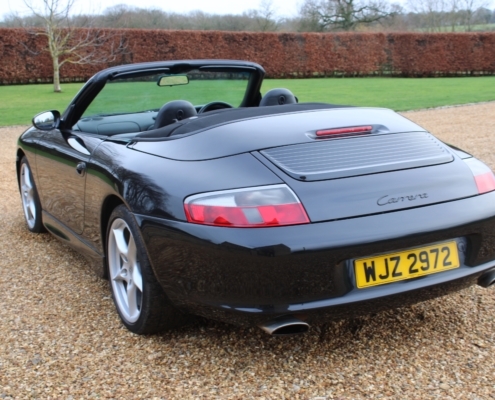 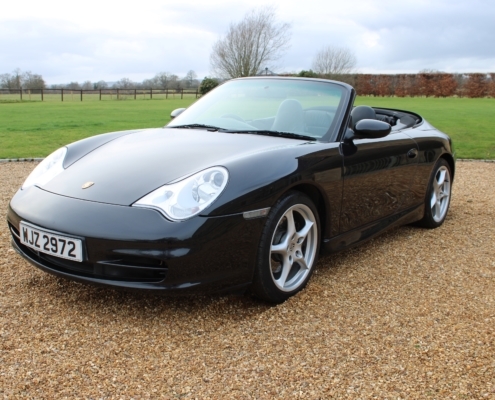 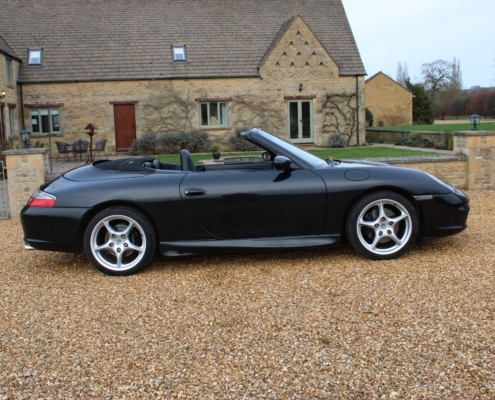 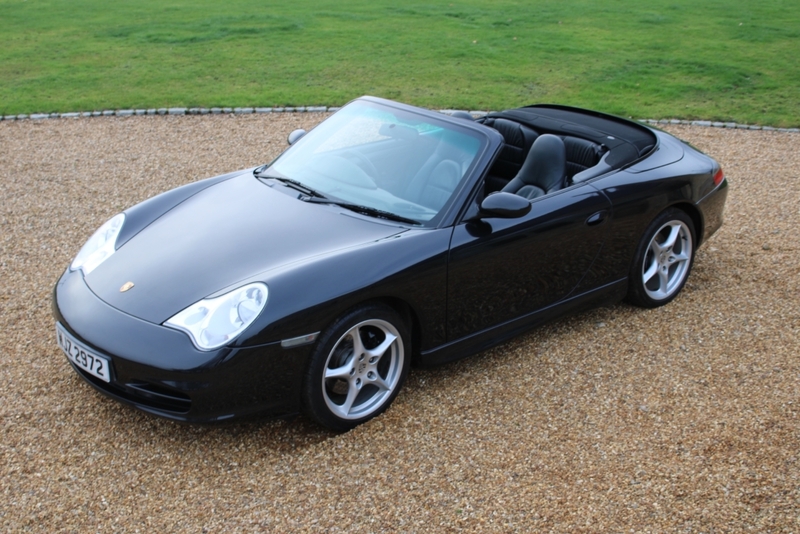 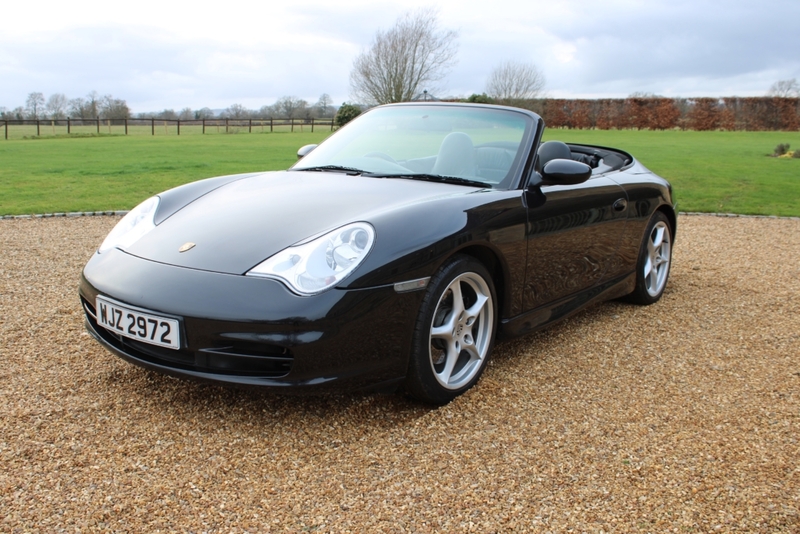 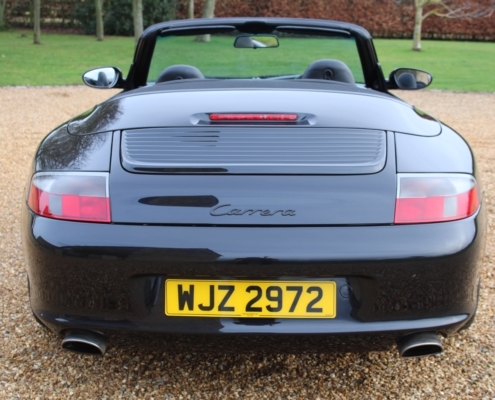 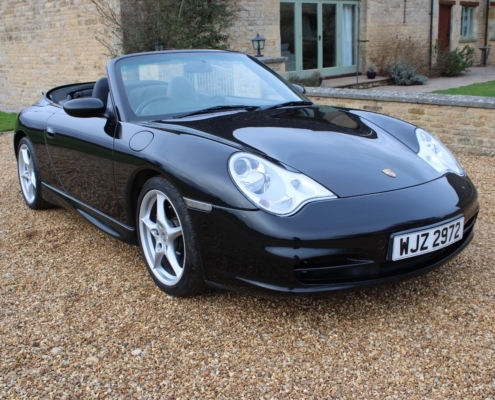 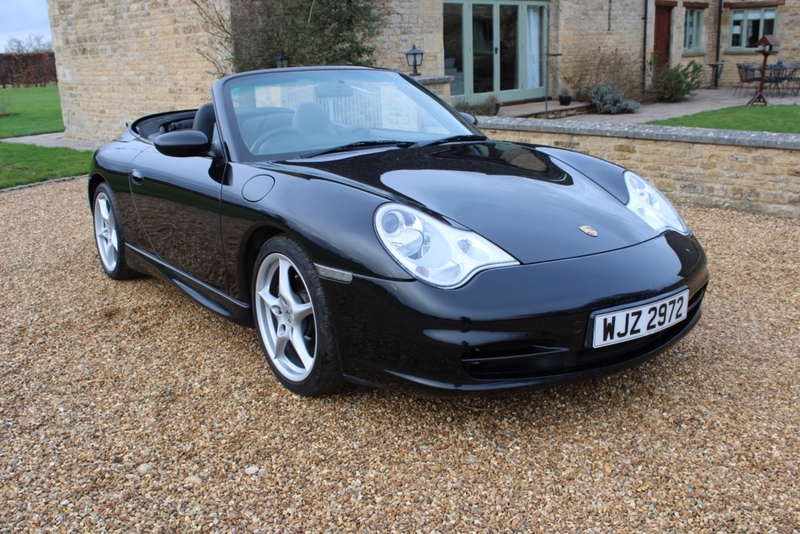 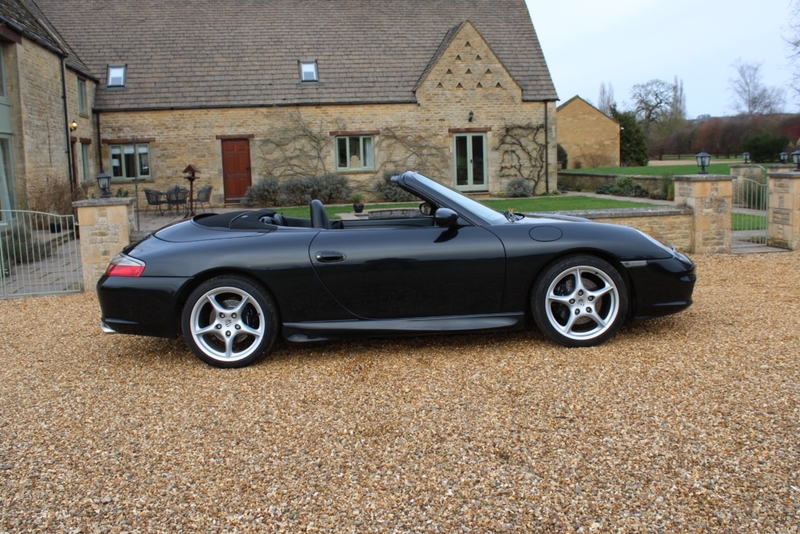 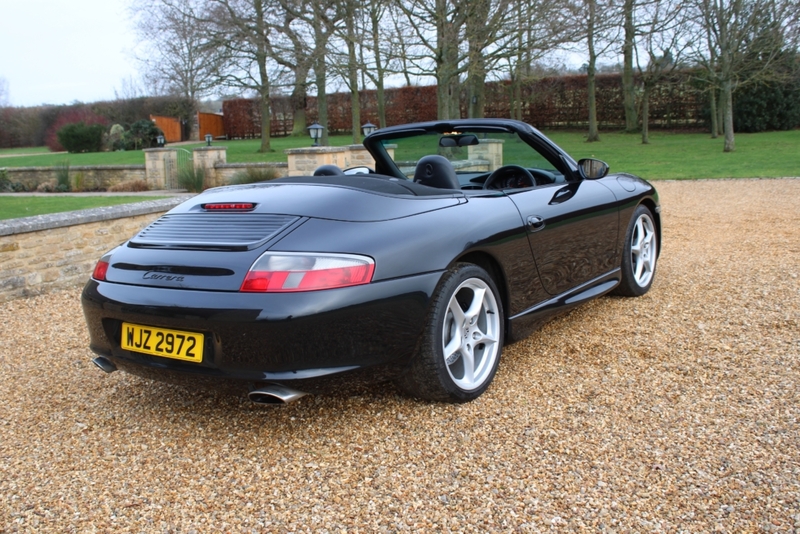 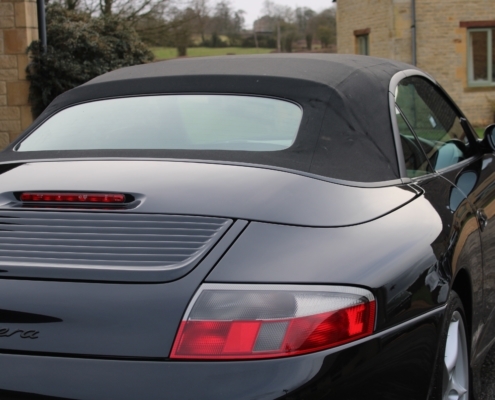 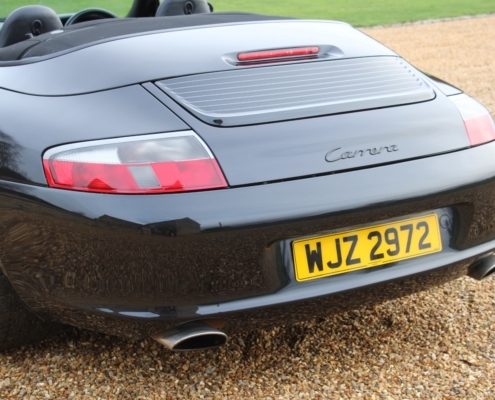 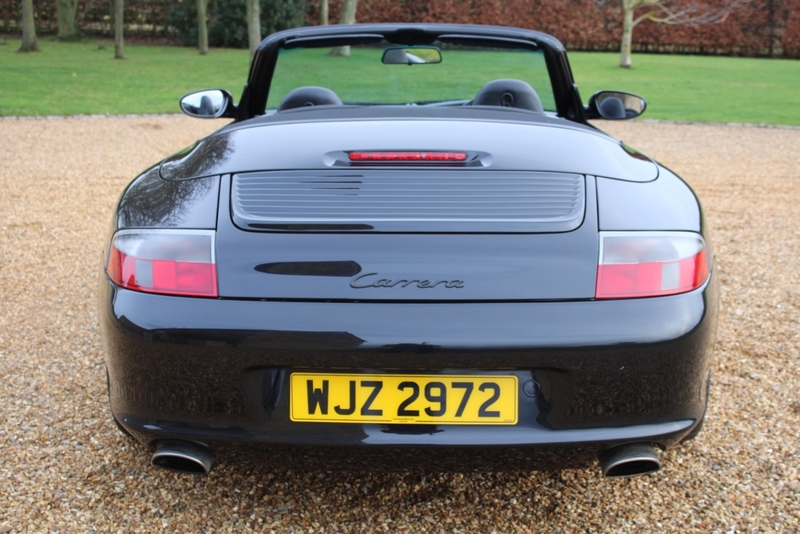 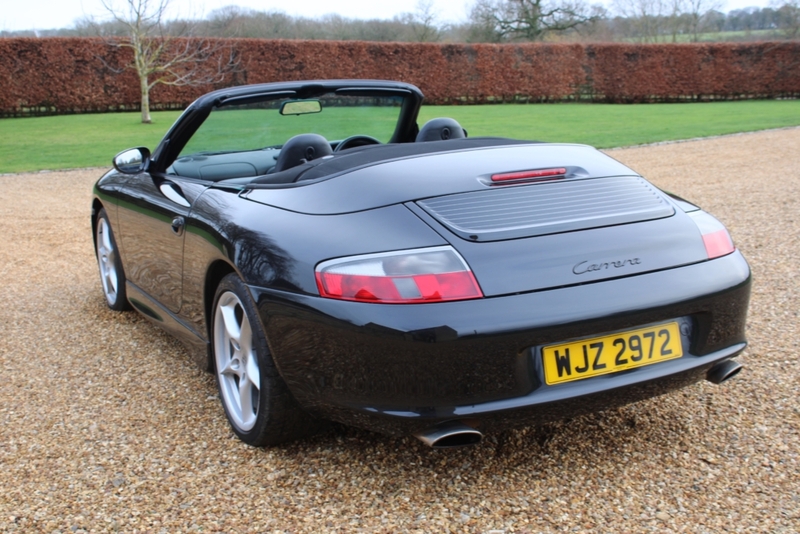 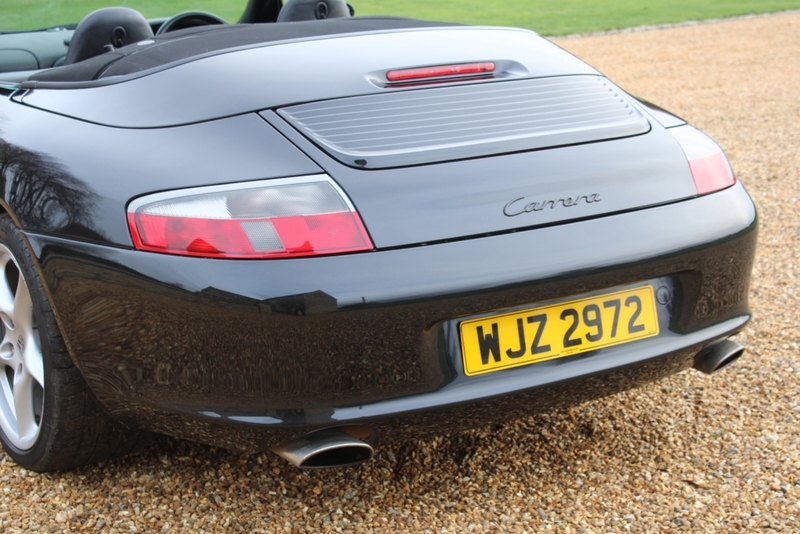 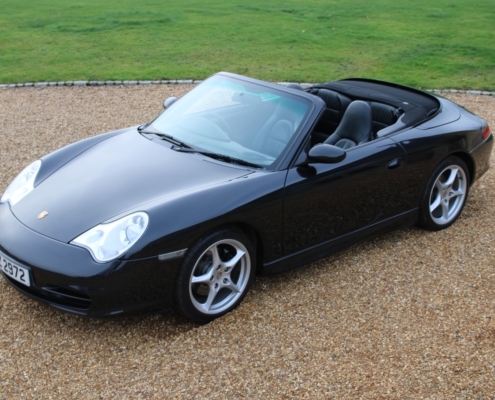 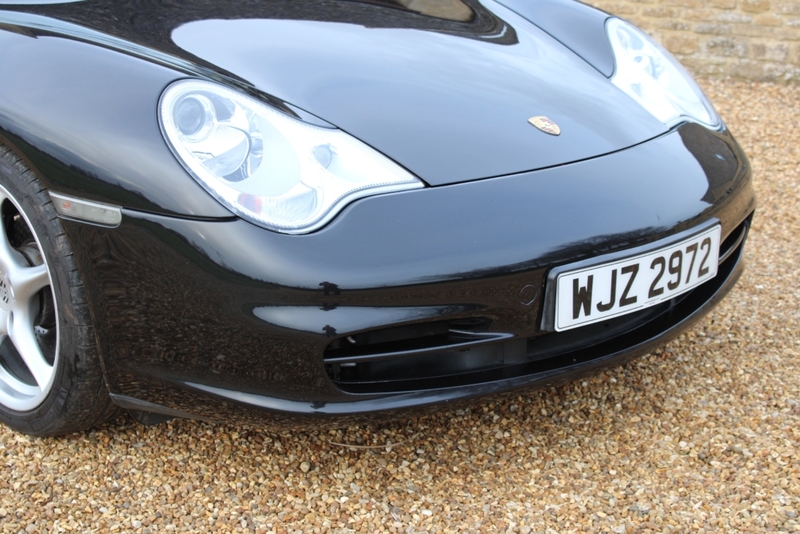 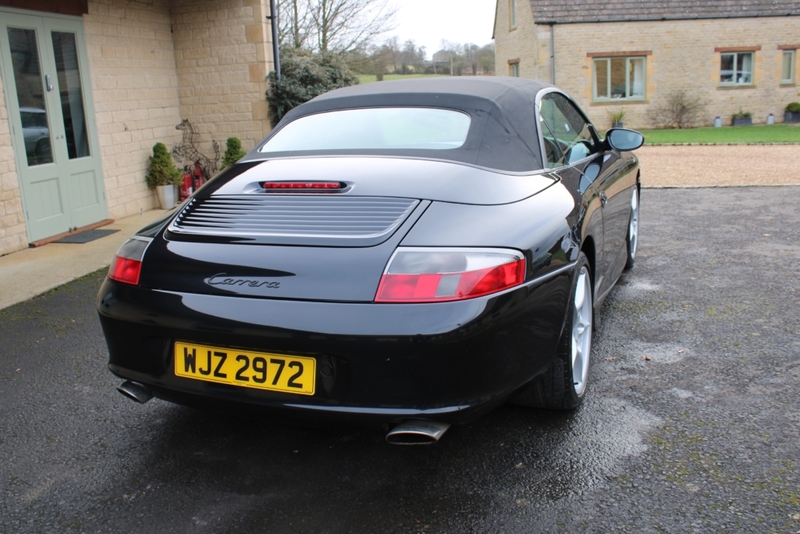 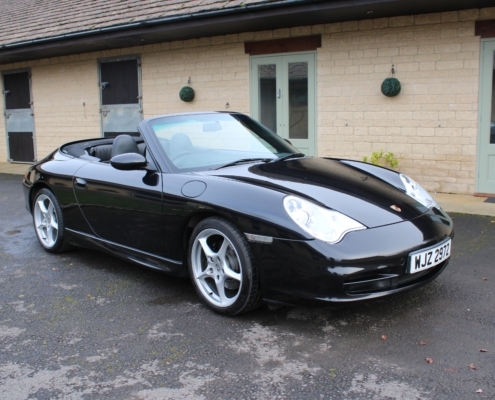 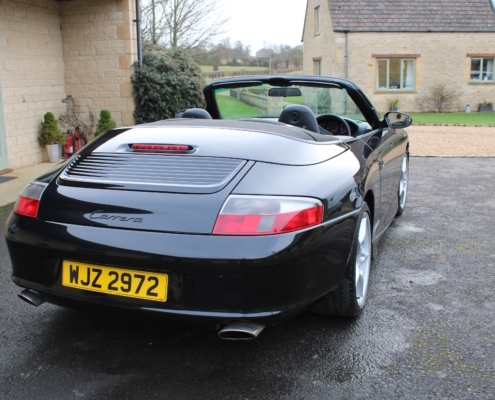 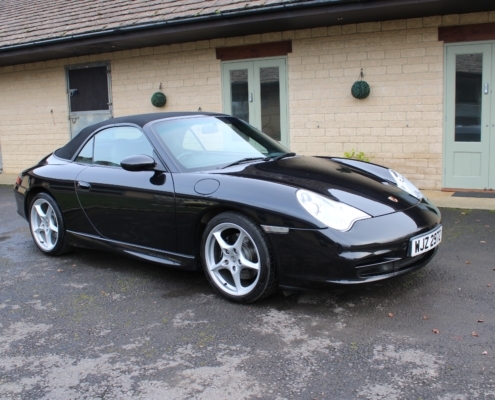 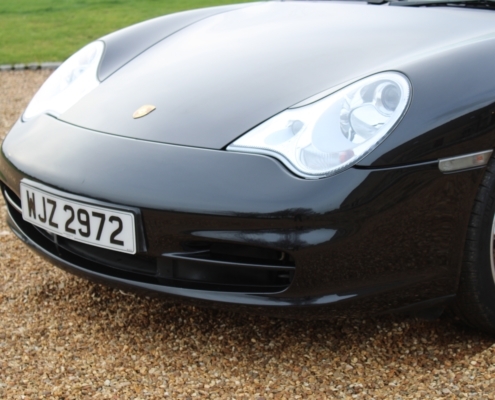 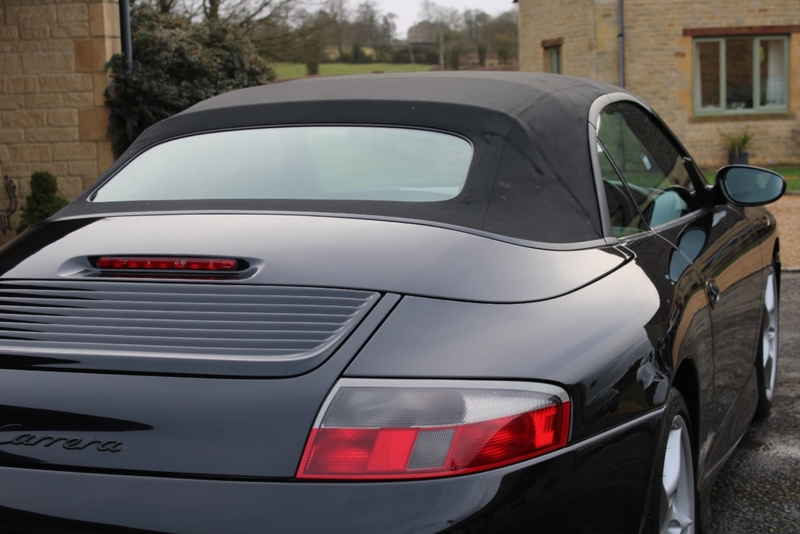 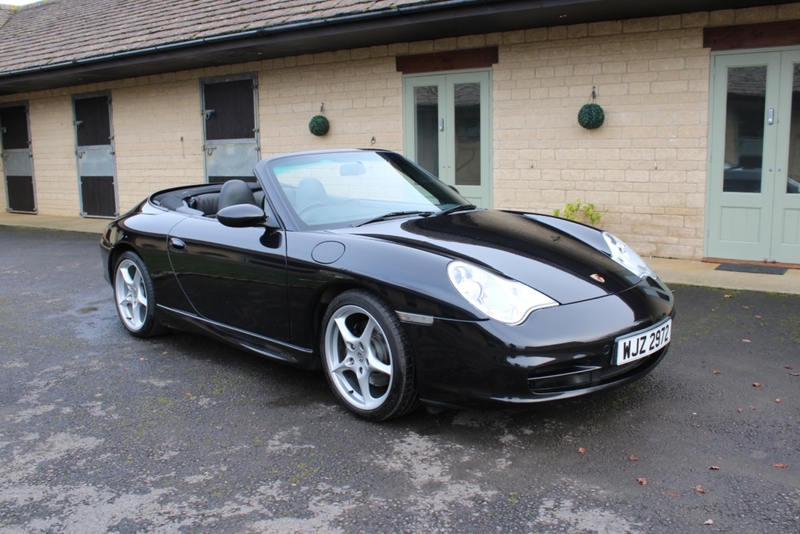 This superb example must be the best available and has a total Porsche history serviced on a regular basis and of course, all backed up with a comprehensive 12-month extendable warranty and comprehensive inspection including Boroscope check over.